This is a portrait of a very sweet palomino mare that lives close to my parents house. It looks as if she is in deep thought. 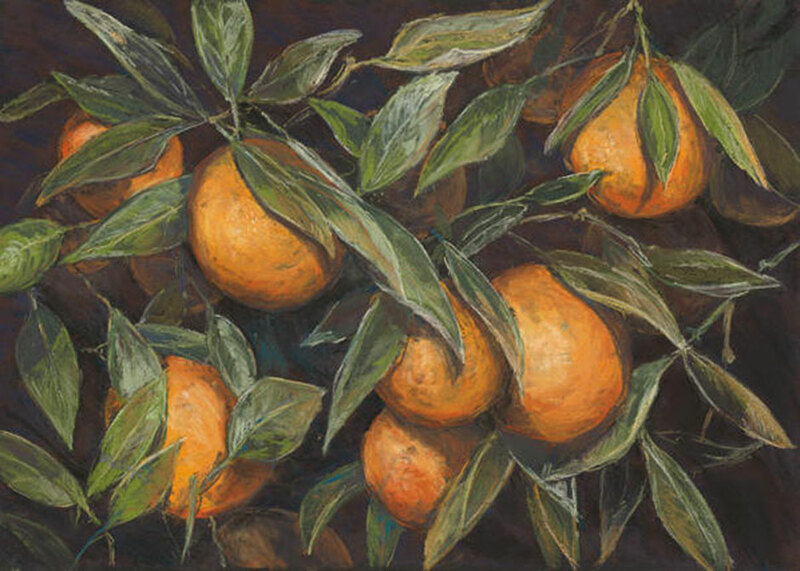 Meli Calkins has been painting with soft pastels for the past 30 plus years. 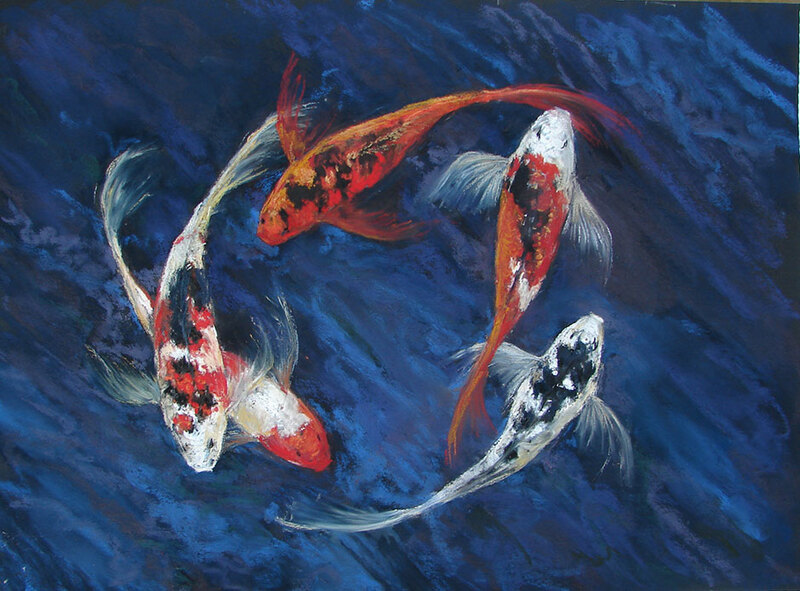 I have always been fascinated with the Japanese Koi Fish. Their colors are so bright and jewel like. I found a home near by that put a fish pond in their front yard. They used the prefabricated black plastic ponds that can be purchased a garden store. The water is nearly invisible which makes the Koi look like they are floating in air as they swirl around in graceful circles. Shell Beach is a favorite beach of mine to visit and paint. It has lots of cliffs and rocks which make a wonderful painting. 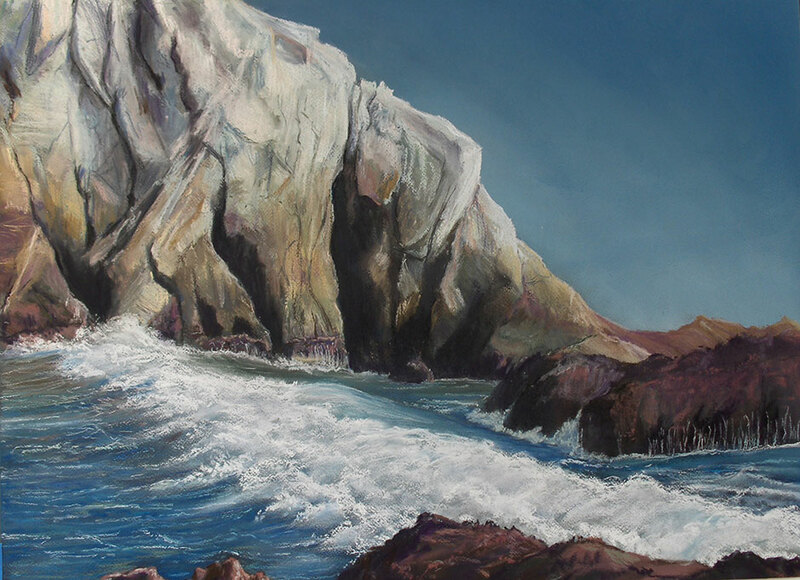 This is a soft pastel of the southern part of the cove that is accessible during low tide. I had fun painting this scene, imagining what it would be like to see horses running in the moonlight. 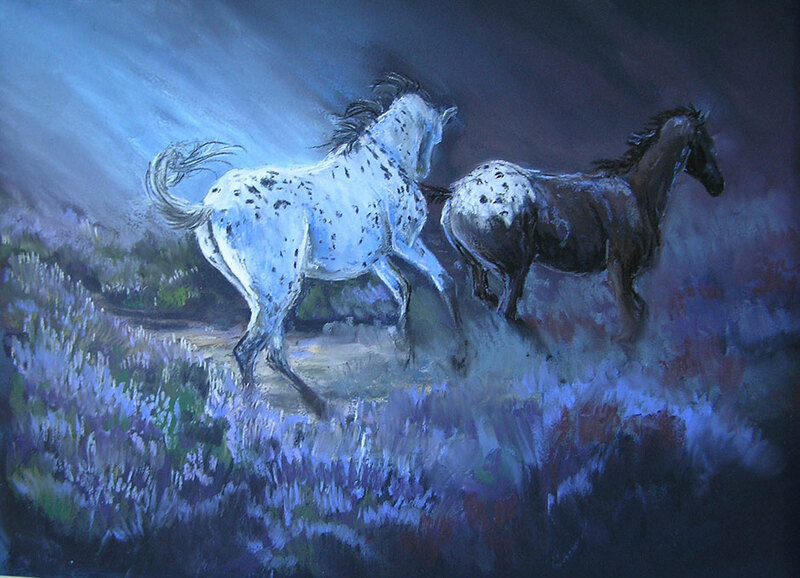 This painting represents two Appaloosas running through the purple sage.